Innovative Counseling Partners, LLC is a group of psychotherapists that provide therapy and psychological consulting within other health care providers offices dedicated to providing the highest quality services to children, adolescents, adults, and families in a caring, patient-friendly environment. In providing behavioral health and mental health care services we strive to integrate research evidence, clinical expertise and client values into our clinical practice. At Innovative Counseling Partners we found over our 25+ years of counseling/therapy experience that when providers work together to address a person’s needs we enhance wellness. We believe in strengthening the human spirit through therapeutic intervention and collaboration. We generally begin treatment by completing an assessment which is always focused on improving your symptoms and achieving your wellness goals. In addition, we complete sporadic evaluations to ensure we are moving you along in your therapeutic journey. At Innovative Counseling Partners, LLC we help you by collaborating, strengthening, and caring our approach to helping you. 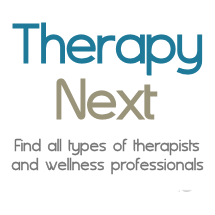 We recognize that there is no one-size fits all therapy model out there to address different people and their issues. For that reason, we ensure our clinicians are well-trained in different therapy models so their work with you provides a supportive and enriching environment. We also ensure that our ability to communicate with other health care providers is seamless by having them provide treatment in our offices as it enriches our work and potential improvement to you our client. Our experience has taught us that approaching treatment from a strengths-based format aids in expanding mindfulness potential to create better connections. Our practice communicates and collaborates directly with other health care partners by operating within the same offices to make the therapeutic experience for adults, children, couples, and families enriched by modeling good collaboration and communication.We see therapy and counseling as a way to explore, develop, and enrich the self, for you, and your family. Our clinicians are culturally diverse and bilingual in Spanish and English. Additionally, our practice is holistic in nature and strives to consider alternative treatments. Because we are multidisciplinary, we are able to offer a full range of services including Psychological Evaluations, Occupational Therapy Evaluations (for Aspergers, Autism Spectrum, etc. ), Developmental Evaluations, Nutritional Evaluations, Individual Psychotherapy, Family Therapy, Group Psychotherapy, Theraplay, Dydactic Developmental Psychotherapy and Cognitive Behavioral Therapy. Our team of psychotherapists, nutritionists, chiropractors, and occupational therapists are able to work together collaboratively to provide the most effective and convenient care when necessary. We are also happy to coordinate care with clinicians outside our practice when it is in the best interest of the patient. Our Clinicians Are Culturally Diverse And Bilingual In Spanish And English.